Ships today if you order in the next 5 hours 34 minutes. 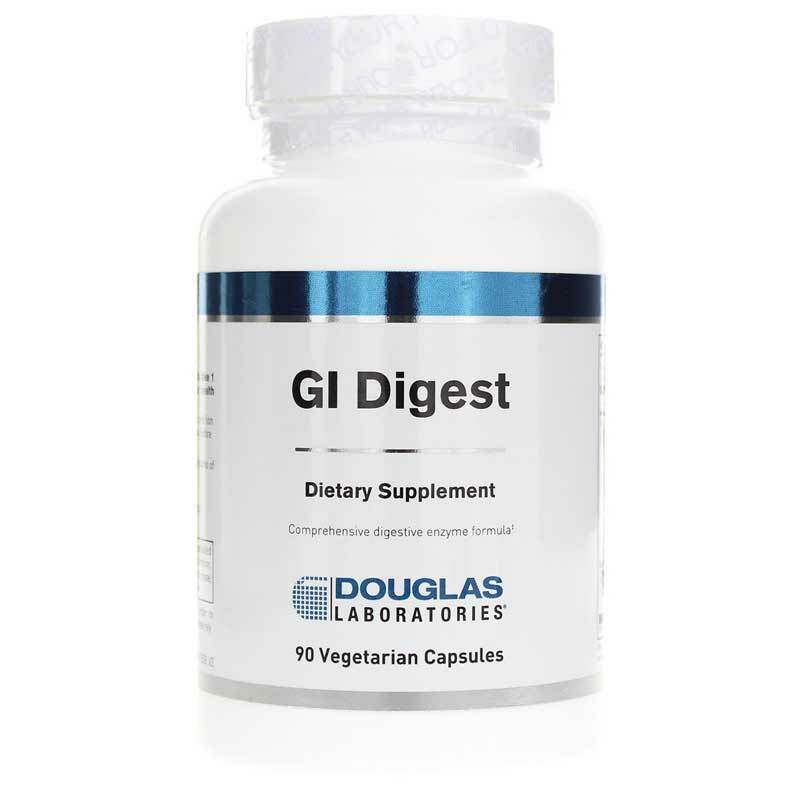 GI Digest from Douglas Labs is a supplement that provides vegetarian enzymes that are intended to support the digestive system. Enzymes are substances that are used by the body in breaking down food for use in the body's systems. Certain enzymes are used in breaking down different kinds of substances during digestion. This supplement is meant to help support the proper digestion of a variety foods that may otherwise be difficult to digest. A properly functioning digestive system ensures that the body receives as many nutrients from food as possible. Therefore, a properly functioning digestive system is essential for overall health, as the health of each part of the body depends on the nutrients that are absorbed during digestion. This digestive supplement is intended to help support digestive health as well as overall health by supporting the ability to break down food. Adults may take 1 capsule as a dietary supplement with each meal, or take as directed by a healthcare professional. Other Ingredients: Hydroxypropyl methylcellulose (capsule), vegetable stearate, silica. Contains NO: yeast, wheat, gluten, corn, sodium, sugar, starch, artificial coloring, preservatives or flavoring. BioCore Optimum Complete and DPP-IV are registered trademarks of National Enzyme Company. Adults: As a dietary supplement, take 1 capsule with each meal, or as directed by your healthcare professional.